2015 is running away with us and it is almost time for the school summer holidays! I have a lot of friends who are teachers and they’re always moaning about the obscene quantity of chocolate they’re given by their pupils at the end of the academic year. 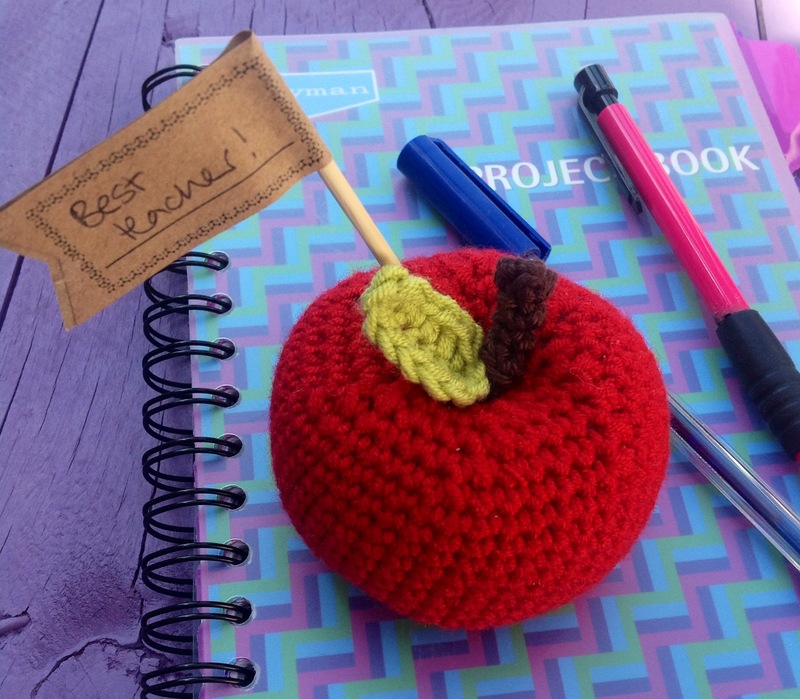 So I thought maybe they would prefer a cute crochet apple to sit on their desk instead! This one is made using another great free pattern from Drops and Patons DK Smoothie. It is £6 and can be bought through my Folksy shop. Next Post African flower cushion – Ta Dah!